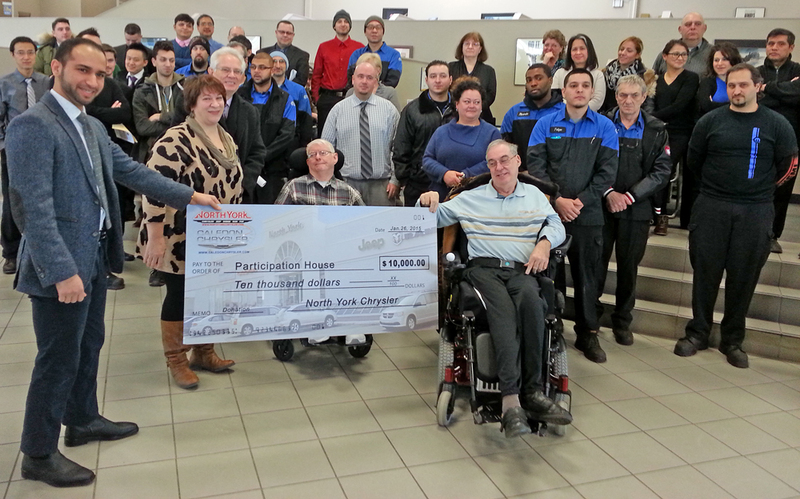 As a part of North York Chrysler’s Holiday Charity Initiative they held an open online poll, asking for customers and local community members to vote on which charities they should donate a total of $25,000. The poll collected 2,838 votes, which determined The Redwood Women’s Shelter and Participation House Markham as the most voted out of ten local and national charities. While receiving their cheque of $10,000 Participation House, Markham revealed they will be using the funds to renovate their facilities and add additional services to serve the purpose of enhancing the quality of life of individuals with disabilities.